Hi guys I hope you are all well. I started off this month with a pretty great read, which was A Tale For The Time Being by Ruth Ozeki. I’ve had it on my TBR for quite some time so I finally decided to pick it up this month. Anyway, I am currently reading two books – the Adventures of Huckleberry Finn by Mark Twain and Accusation by Bandi. The first is my classic pick of the month and to be honest I struggled a little to get into it. I think I found the writing and the language a little tricky to get into but after a couple of chapters I settled into it. I am currently just under 200 pages through and while I am liking it I am not loving it. The second one I am dipping in and out of as it is a collection of stories smuggled out of North Korea. So far it is fantastic (and pretty scary) and definitely well worth a read. I also have some books lined up that I may pick up next – A Pale View of Hills by Kazuo Ishiguro, The Watchmaker of Filigree Street by Natasha Pulley, The Empress of Bright Moon by Weina dai Randal, The Tigers Daughter by K. Arsenault Rivera and Servant of the Empire by Raymond E. Feist and Janny Wurts. Obviously I won’t be able to read all of these but I kind of want to… so wish me luck :). What are you guys reading right now? I hope you are all having a wonderful day and I will see you next time. Good luck with your reading! I heard great things about The Watchmaker of Filigree Street! 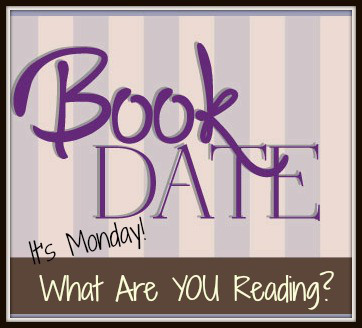 I started Most Wanted by Lisa Scottoline last night and I am already almost a quarter of the way through. Thank you 🙂 yeah I’ve heard good things about it to! Oh OK I haven’t heard of that – I’ll have to check it out!